I have just had windows replaced/repaired by Walton Glass and cannot recommend them too highly. They attended when they said they would and did a great job. Stephen and Gary were very helpful and friendly. No mess left whatsoever. Also saved me a fortune as they were happy to replace glass and repair instead of replacing whole windows. Very good prices. Thank you. Had a new window fitted, from the time I rang for a quote to job completion the service was excellent. The lads were out to measure up within half an hour and were so flexible on day of fitting to allow me to finish work before they called in. All in all a terrific job, very reasonable price and I would highly recommend. Thank you Gary and Steve for your speedy repair to my patio doors, professional and friendly and a great job. Can’t recommend this company and their staf enough. Came out within 20mins of calling them to measure up for a replacement double glazed window. Price was excellent even though it was toughened glass! Called me when an alternative day and time became available for fitting ( which I really appreciated) fitted the window in about 10 mins. No mess and really friendly. Will definately use again. Amazing service and staff. Thankyou so much ??. Window replaced quickly, lads cleaned up after themselves and took old window away. Just finished my first ever DIY window repair and the help and guidance from the guys was truly appreciated, Great service, very quick turn around of large replacement glazing unit at fantastic price. They even carried my unit out to the car! Thanks guys, can’t praise you enough, will definitely b back as I replace more “burst” glazing panels around the house. I have used Walton glass twice now and their service is impeccable. Very professional. I would never hesitate to use them again or recommend to anyone else. Gary came to deliver 2 pieces of made to measure glass for the top of a large coffee table and unit today. It was measured to perfection. Delivered on time and such a great guy too. Steven and Gary fitted a replacement glass unit to our double glazed doors and repaired the seals around the doors, very professional and efficient. Steve and Gary came to fit my new glass today, job was done in no time and spotless job. Really pleased couldn’t recommend them enough. Good value for money also. Thanks for being so good! The guys at Walton Glass Steve and Gary did me a, made to measure piece of mirror with polished edge which they supply cut to any size. The price was cheaper than anywhere else. Friendly helpful guys providing a great service. Would highly recommend. We came to Walton Glass because we wanted to work with a company from our local region. From our initial enquiry through to delivery the service was second to none. Prompt, efficient and polite and with a quick turnaround. We would highly recommend this company to potential future customers. I was recommended to Walton Glass today by a friend. I needed a A2 size piece of picture frame glass, and did I go to the right shop. The lads were extremely friendly and helpful and I had my glass cut within a couple of minutes. Great service and great price even when I unfortunately got my measurements wrong and took back they cut it again for me no trouble at no extra charge and even brought out to the car for me both times lovely lads thanks. Needed to replace 4 panes of GREENHOUSE GLASS. Service and price was excellent. Would highly recommend and definitely use this company again. Fast service, great price, staff very helpful. Well recommend ??. Would highly recommend! Had the job done within 2 hours of ordering, fitters were so helpful and nothing was to much trouble. Excellent value for money. Walton Glass have completely changed the look of our reception desk. Very friendly and helpful guys. And fab value for money. Needed a small pain of glass for interal door and got sorted in about 10 mins. Would definitely recommend. SeBig thank you to Stewart and the team from Walton Glass who carried out a repair to my patio door following a break-in just before Christmas. The initial response, overall service and workmanship was excellent. I would highly recommend Walton Glass. Immediate, cheerful and efficient service. 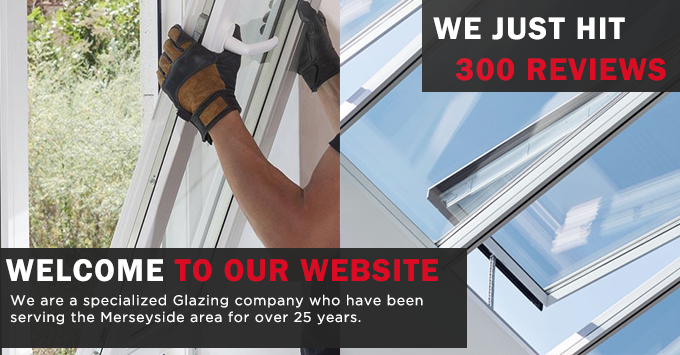 Second time I have used this excellent firm – both times for small jobs but I would not hesitate to call on them first for large-scale glazing tasks. The shop is large, clean and stocked with orders for dispatch and fitment, showing how popular they must be, The member of staff I dealt with was friendly and helpful. I would thoroughly recommend their services. A job well done, clean and tidy work, and they even said “thank you” for the cup of tea ! great manners. ( I have used them for over 20 years ) Cheers boys! Completed the install on a Grade II Listed building in under a day with excellent finishes and results. I came across this company when I couldn’t get what I desired from my local ones. A broken door glass was sorted within the hour . Brilliant service friendly staff and a nominal charge means I won’t be going anywhere else for glass in the future . I am very happy with the EXCELLENT work carried out by the two men that replaced my window today, 14/12/18. I am sorry I didn’t get there names but I think one was named Steve. They were two very nice, polite men, very quick and clean workers. I would highly recommend them and your company to anyone. Thankyou very much. Mrs S Rimmer. Service was very good fast and of very good quality, men were really helpful and polite, would recommend anyone to use them. Really nice men do a great job. And excellent quality and prices Thank you for helping my husband who is blind. Great service, I called, gave the measurement for my small pane of replacement glass for the summerhouse, and half an hour later, collected it, and the putty to get on with the job. Called Walton Glass on the last minute as I needed a window removing to take delivery of 2 sofas, they came within 5 minutes, Gary and Steve were most helpful done their job most professionally, even helped with the delivery of the sofas, Thank you Gary and Steve really nice men and Thank You Walton Glass. Thank you so much lovely customer service great price great staff… had mirrored furniture fixed and was sorted my the following day best price about couldn’t recommend enough very pleased … thanks Hannah. I needed 2 pieces of glass cut to cover the surface of a new chest of drawers and dressing table they had them ready inside an hour ste, Stuart and Tommy where very helpful would recommend. I have been using Walton glass over many years and they have given me a great fast glass cutting service and many years of excellent emergency glazing to our shop fronts. I highly recommend them. Recently had new panes fitted. Ste and Gary were very courteous and considerate. Fitted in around my working hours, would definitely use them again. Job well done thanks. Crazed and cracked conservatory panel replaced after original installer declined to responde due to the warranty being expired. Prompt service from Walton glass and top marks to Tom and Gary who did the repair. They were friendly, courteous and very professional. Used Walton glass to replace 13 misted d g units. Came and fitted cleaned and tidied all to are satisfaction could not complement the 2 glaziers enough would recommend highly. Regards phil. Stewart and Ste came to fit an interior window in my home today really friendly guys and efficient too, couldn’t do enough to help! First class service would definitely recommend to anybody needing a glazier. Outstanding service ,staff at the shop were great.gave them my templates for my glass what came back was brilliant, finished job looks great many thanks. Replaced a large piece of glass from large display unit. Matched the glass perfectly, Very professional efficient service. The staff can’t do enough to help you. Delivered earlier than expected carrier glass upstairs and fitted free of charge as they saw my dad was disabled. Lovely bunch of lads. Thanks. Would ‘recommned Walton glass highly, have been using them for several years. Great service from steven fixing my bathroom door window, really good job done couldn’t be happier, thanks a lot for the help! David. Steve, Gary and Tom has done a fantastic job!!!! Has 7 windows replaced….started in the morning and finished by midday. Also went the extra mile by staining and getting the beading to match the hard wood frames. Excellent job!!! Thanks again guys!!!! Just wanted to say thank you to the team a Walton Glass for replacing the fanlight above our front door. It was a difficult job on a large Victorian house. Steve and Tommy we’re incredibly knowledgable, efficient and helpful. I wouldn’t hesitate to recommend them and will certainly be using them again for future jobs! 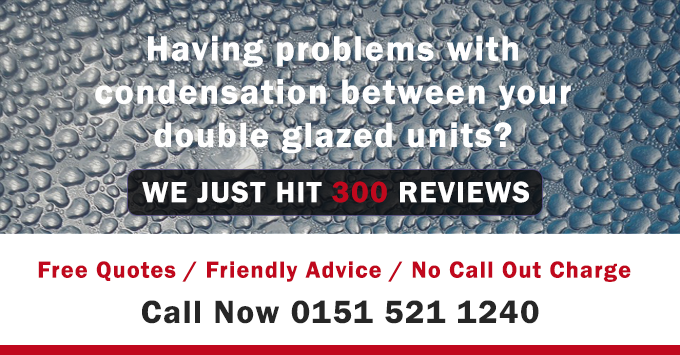 New to Liverpool and was so please to get replacement glass and great advice on double glazing contact. Peter was friendly and very helpful. Having received first class service before from Walton Glass (they supplied and fitted mirrors for changing rooms and also supplied glass to protect the top of a marble fireplace) I immediately thought of this company again when I decided I no longer wanted clear glass in the doors of a wardrobe that I’d purchased a couple of years ago. As I use this wardrobe as a linen cupboard for bedding and towels, it had always irritated me that it looked untidy being able to see the different colours, sizes, etc. , of the contents on the shelves. I decided to take the doors off and take them to Walton Glass to see if they were able to mirror the panes instead. They could not have been more helpful. Although it was raining outside, they came and collected the doors from my car and carefully carried them into the shop. They gave me a price that I was happy with and said the doors would be ready for collection the very next morning! My sister collected the doors for me the very next day and she too commented on how helpful and polite the staff were; again they carried the doors and loaded them into her car. When my sister delivered the doors, I was more than happy with them. They’re gorgeous! They finish the unit off and I no longer have to look at all the linen. Just wish I’d done it 2 years ago! 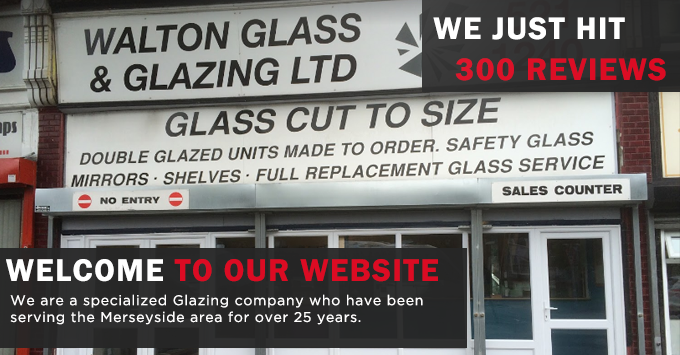 I cannot recommend Walton Glass enough – no job is too small! Thanks for your help and guidance. Pattern on glass on external door had worn away and so glass needed replacing , from initially going into Walton Glass to fitting of new glass panels and payment everyone I dealt with was extremely professional , courteous and friendly , anytime I need anything window related I will definitely use them again. Great service and great price fixing a mirrors door. Really friendly and helpful. Needed a piece of dimpled glass for front door, friendly staff obliged and as it was only a small piece give for free. Brilliant service. Would definitely recommend. I have just had a new pane of glass installed, to replace one that was cracked. Tommy and steven who did the repair were friendly and polite as well as being. Efficient and professional at the same time. The work was carried out quickly and old frame taken by them too, today. This was my first time of using Walton Glass and it has been a very positive one. And such good value considering it was a double glazed replacement. I would definitely use this company again and would recommend to family and friends. I had a Large double glazed window witch had shattered. So I rang Walton glass and they came out on the same day and measured up for a insurance quote which was accepted by my insurance. The new glass was fitted in 2days from order. The workers were very good and tidy. Needed a small triangular piece of dimpled glass for front door, very friendly staff cut and give me a piece free of charge. Can’t get better service than that. I would definitely recommend to friends. Thank you Walton Glass. I had two window units replaced. My appointments were made very quickly and to suit me, Gentleman on the phone who made appts was polite and very helpful. The two fitters Tom and Gery who visited my home ( to measure the job initially, then to replace the units) were very nice and helpful. They were a pleasure to have in my home, and when they had finished I could not tell they had been – apart from the new replaced units. Thank you. Two misted units replaced one a bevel door great service and good communication very polite and helpful staff would very highly recommend. Just called in to Walton Glass to see if the could repair some Very expensive wall Plaques which had been damaged. I never had much hope as the glass is not your normal type of glass, But they did it. They managed to save most of the Plaques, Very impressed, FREE OF CHARGE. If you have any glass problems get in touch with them, First Class. This Company also supports our ARMED FORCES. Couldn’t have been more helpful. Went out of his way even though it was a small item. Highly recommended. The lads were polite and helpful. Would recommend Walton glass again for any future jobs, very happy and satisfied customer. Brilliant service. They came round within an hour of me calling to measure up, gave me the date and time they would fit my new window pane and called an hour to confirm they would be arriving. Arrived on time. The guys were lovely, friendly and very professional. Will certainly use them again in the future. Highly recommend them! Superb service called in to ask about cutting some pieces to repair leaded lights – did it all as I waited. Very efficient service. Within 3 hours of initial phone call reporting cracked window, it had been replaced. Would recommend. Incredible team. Called to have a window taken out, needed doing within 20 minutes and they were able to! Came our quicker than 20 mins, have the window out, sofa through and window back in within another 20 mins. Amazing, thanks so much. I called Walton Glass to come and inspect my shop window, a pellet had been shot into the window. The guy who came out assured me that it was safe and as it is laminated, he did not need to replace it. He could have told me a different story, which would have cost me. This goes to show we still have good honest firms. I take my hat off to Walton Glass. Walton Glass replaced ten misted double glazed units for us. We were kept informed regularly by phone at every stage of the job and the installation was carried out in a very professional and friendly manner. We wouldn’t hesitate to use them again! I had a problem with condensation within a double glazed unit that was covered under guarantee. On contacting Walton Glass by telephone I spoke with Gary and was delighted in the way my call was received. Very quickly the unit was measured and within days replaced on the day and time that was given. I found the service to be professional, friendly and a credit to the company and those involved. Called for a quote on replacing glass in bathroom window. The guys came out same day to measure then called later with the quote. We went ahead and was told it could be fitted in two days. Steven, Gary and Tommy came out this morning. They had given us a time of between 10am-12. They called at 9.15 to let us know it would be nearer to 12, which was great as it wasn’t a guessing game as to what time they would come. They arrived just after 11.30 and we’re gone in under 20 mins! The guys were very professional and friendly. I felt very comfortable with hem being in my home. They fixed the window and were gone, super fast service!!! Thank you! Would highly recommend to other potential customers and will definitely call them if we require them in the future! Used Walton Glass for years still the same high quality and service would recommend to anyone looking for a professional glazing company. Been having glass cut from Walton glass for many years now. Great staff and very keen to help. (James mcgrory.. Signwriting and gold leaf ). Excellent very professional , prompt and great staff very accommodating would highly recommend. I’ve used Walton Glass before, and returned with an order because they were very friendly and helpful last time. I wanted two mirrors and a smoked glass door making and Stuart was very helpful in showing us samples to help choose the glass thicknesses etc. The work was done quickly and delivered without any fuss. Brilliant and friendly service. Thanks Stuart. Went to Walton glass to get my mirrored bedside tables repaired due to them being damaged. The lads were really friendly and helpful, fetching the items from my car and putting them back in for me once repaired due to them being heavy items. The job was done within 24 hours and has been done to a really good standard. Would definitely return and be recommending to others. Thank you! X. Fantastic service, Stuart was extremely friendly and helpful. We received 3 quotes for our glass and Walton Glass were by far the cheapest. The customer service was very friendly and efficient and the job from start to delivery was very fast. We would recommend this company to anyone who requires glass cut to size. Gary and Steve came out to give me a quote on a smashed window and the price was fantastic so within 30 minutes of them arriving they had fitted a new glass window. I would recommend to anyone looking for glaziers. We’ve had two separate broken windows in a short amount of time and Walton Glass have been friendly, professional, and happy to help both times. They’re very quick at installing the windows, and I think the quotes we got each time were fair and affordable. 5/5. Needed new double gazing pane, Gary and Steven attended and done a fantastic job at a really good price. Left inside and outside area very clean and I wouldn’t hesitate to recommend. Thank you. From stewie in reception to Steve and others who called to do the job, they were so fantastic at the work they did for us. Couldnt praise them enough, and what a pleasant and helpful young man stewie is. Many thanks,would highly rate the company. Brilliant response to an emegency situation due to attempted break in. When other companies had a broken up for Christmas. Walton Glass went the extra mile to help. From first point of contact right through to installation very very impressive. I can recommend this company to anyone. First Class. Excellent and quality service Especially Gary/Steven, thanks guys. Steven and Gary came to replace 3 double glazed windows, done a fantastic job, really friendly and super efficient! Couldn’t ask for more. Will definitely be recommending.